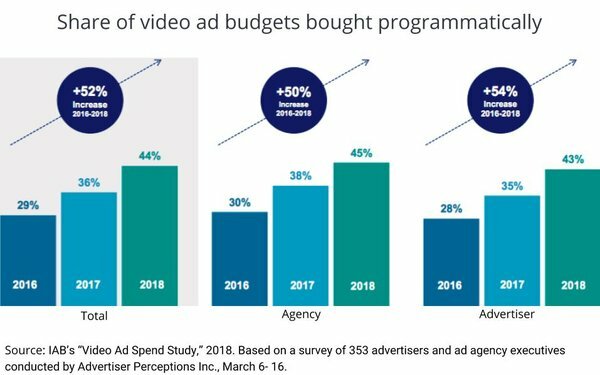 There’s an interesting sidebar in the “Video Ad Spend” study released last week by the Interactive Advertising Bureau (IAB) on the eve of this year’s NewFronts. No, not that there’s pent up demand from advertisers and agencies for digital video, especially the kind of original digital video represented by IAB members pitching their wares in this year’s advance sales season. That should be expected. It’s the side note about the role programmatic is playing in the mix. While the “availability of programmatic buying” ranked only ninth among 14 criteria reported in the survey of advertisers and agency executives, it was cited as one of the most important factors by 29% of this year’s respondents and 30% of those who actually allocated budgets in last year’s NewFronts. Not surprisingly, the study also found that programmatic is a significant factor driving overall investments in digital video. That makes sense, because programmatic is a logical solution to the manpower and workflow issues associated with a hyper-fragmetned video programming environment. Forty-four percent of the respondents said the share of their digital video investments that would be bought programmatically would continue to grow this year, which is up from just 29% who said so two years ago when the IAB and researcher Advertiser Perceptions Inc. began benchmarking the findings. The ability to buy digital video programmatically was actually cited as the No. 1 criterion in two major categories: health/beauty and retail.